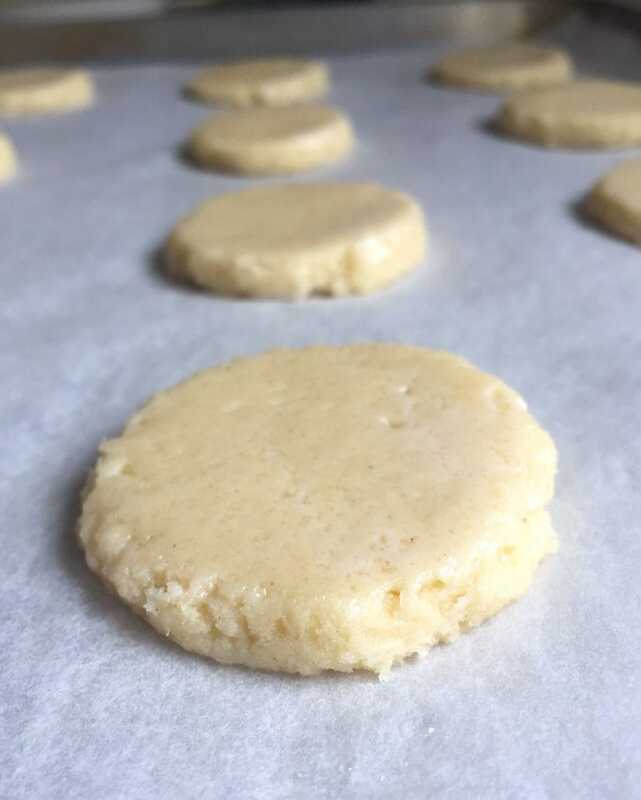 This easy recipe makes the best gluten-free soft sugar cookies. 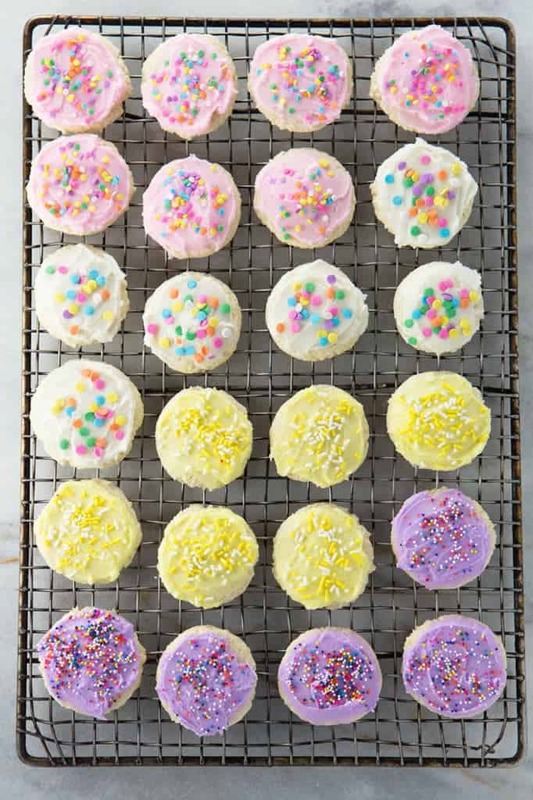 Inspired by the famous Lofthouse brand, these cookies are topped with frosting and finished with sprinkles. 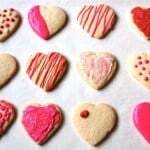 The loving way the writer talked about the cookies made me think that the recipe was inspired by sugar cookies offered at some obscure bed and breakfast called “The Lofthouse.” A B&B that serves soft sugar cookies? Sounds idyllic. It turns out that”Lofthouse” cookies are those (cheap) sugar cookies sold at almost every American grocery store. Those cookies I’d seen and eaten. I’d just never noticed the brand on the package. 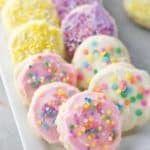 The flour blend helps to keep these soft sugar cookies soft. Which, for gluten-free cookies, is a bit of feat. Gluten-free cookies tend to dry out fast. The combination of the flours, starches, and xathan gum in the blend helps the cookies hold on to moisture. Flour alone does not a soft cookie make, however. 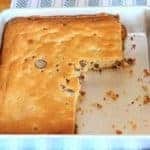 Granulated sugar brings sweetness and tenderness to the recipe (no brown sugar or maple syrup for this recipe, please.) While our friends butter, eggs, baking powder, salt, and vanilla create a dough that easy to work with. And then there’s sour cream. 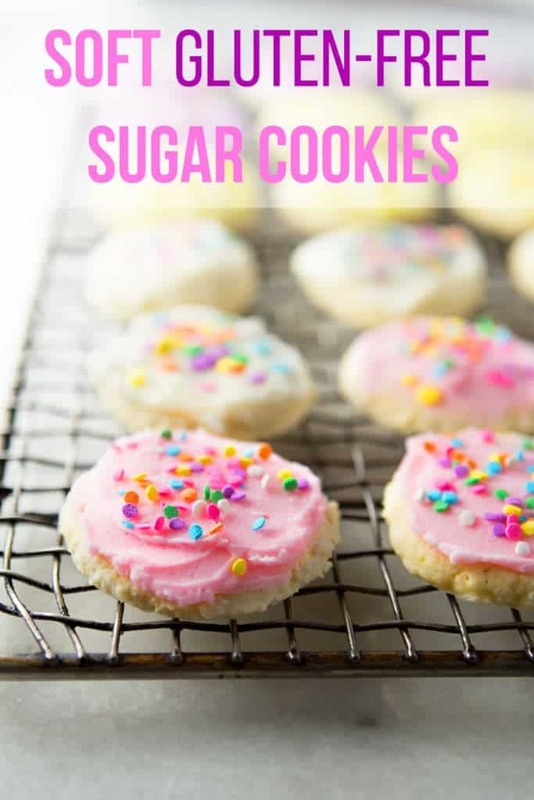 Yet I kept seeing soft sugar cookie recipes that used either sour cream or cream cheese. 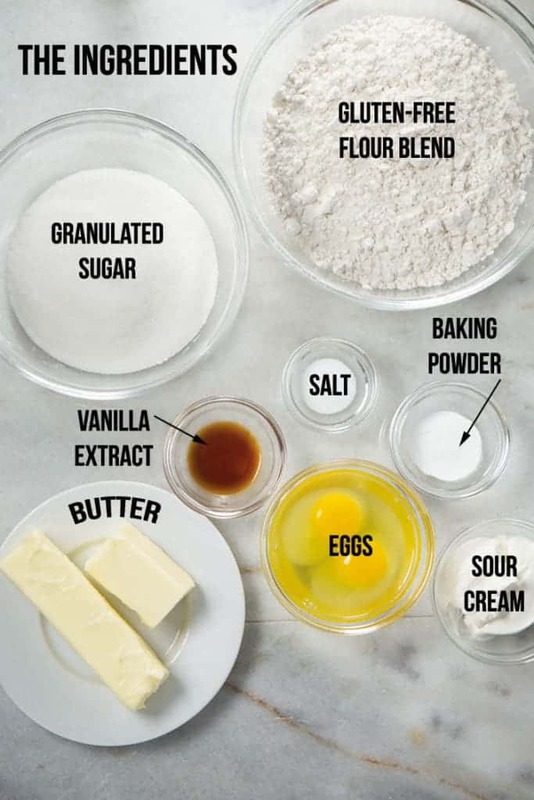 Mix the dough in either the bowl of a stand mixer or with a handheld mixer. This isn’t a dough you can chill and roll; it’s too soft for that but it’s perfect for scooping. Scoop the dough onto a parchment-lined baking sheet. I can’t recommend a cookie scoop highly enough for this task. It makes quick work of scooping the dough and each ball of dough is the same size. Evenly sized cookies=even baking time. If you don’t have a cookie scoop, spoon about two tablespoons of dough into your hand and round into a ball. Once you scoop the dough onto the pan, press it down. This is key. If you don’t press the cookies down, they won’t look like a classic lofthouse cookie. This dough won’t spread during baking. Whatever it looks like going into the oven is how it looks coming out. To do flatten the cookies, fill a small bowl with cool water. Dip the bottom of a flat glass or measuring cup into the water. Press the dough down until it’s flat. Repeat, dipping the glass into the water frequently. Bake until the cookies are set. The cookies should look flat, not shiny, when done. 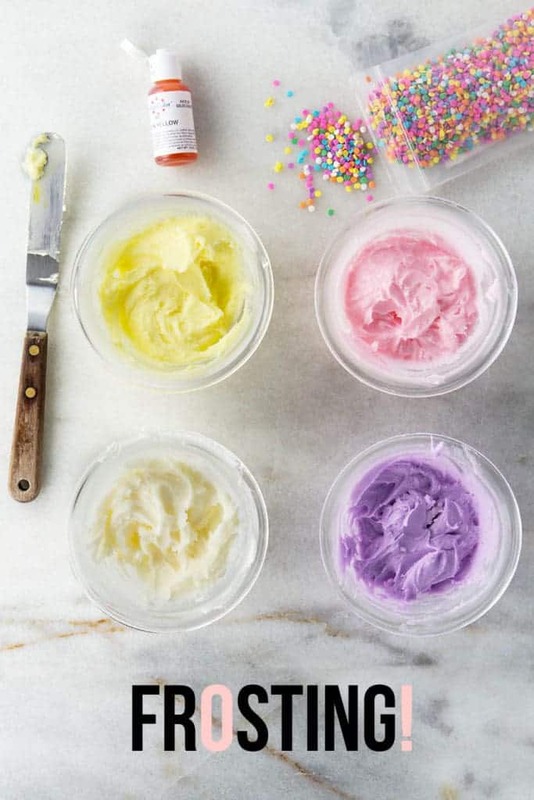 The frosting doesn’t get hard like royal icing. And, if I’m being honest, that’s what I love about it. Royal icing makes pretty cookies. Yet, it doesn’t make tasty cookies. To frost the cookies, first allow them to cool completely. If you frost the cookies while they’re still warm, the frosting melts into a mess. And nobody wants that! 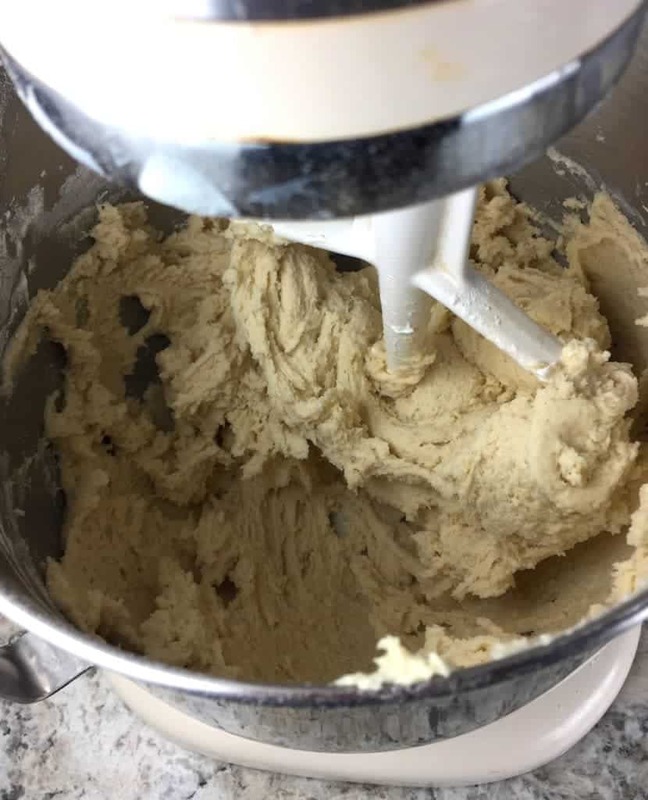 And if you want to change the flavor of the cookies for the season, add a little extract, like orange or peppermint, to the dough along with the vanilla. Like I said, you can’t roll this dough into shapes and make seasonal cutouts but with pretty colored frosting and sprinkles, I don’t think anyone will notice. Can I roll this cookie dough? No. This dough can’t be rolled. 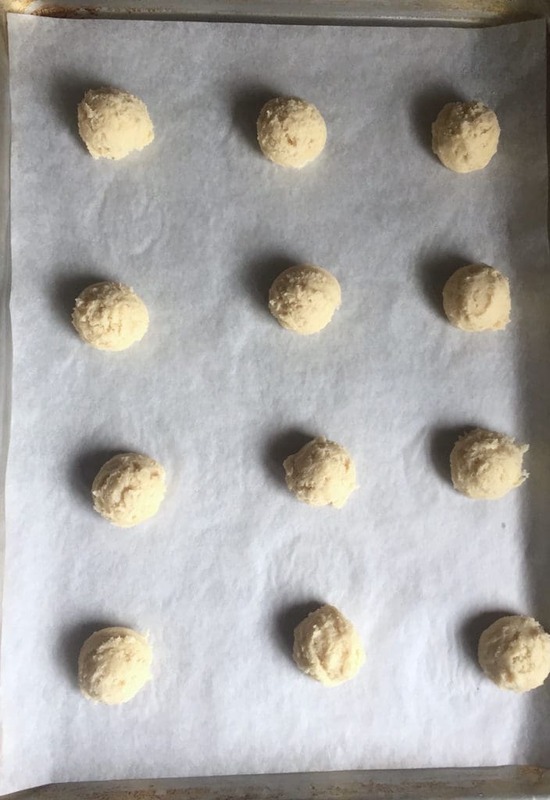 If you want a roll-out cookie dough, here’s my recipe for gluten-free sugar cookies. I love that recipe! 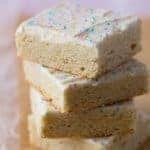 Can I make these dairy-free? I don’t know. I haven’t tested this recipe with dairy replacements. If you try it without dairy, let me know how it goes. Probably not. These need the egg to create a soft and tender cookie. Yes! You want to store them in an airtight container. In the winter, when it’s dry in your house, they dry out after a few days but they’ll still taste great. Trust me on this. Do I have to frost them? Nope. They dry out faster without frosting, however. The links below are affiliate links. 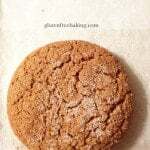 GlutenFreeBaking.com earns a commission when you use the links to shop. Beat butter and sugar until fluffy on medium speed. Add the eggs, one at a time. Stop the mixer and scrape down the bottom and sides of the bowl. Turn mixer to low speed. Add the flour blend, baking powder, and salt. Mix for 15 seconds. Dough will be thick. Add the sour cream, vanilla extract, and almond extract. Mix until combined. Scoop dough, about two tablespoons each, onto prepared baking sheets. Dip the bottom of a small glass into water. Press dough down until flat, abot 1/2-thick. Repeat, dipping glass in water as needed, until all cookies are flat. Bake until cookies are set, about 16 minutes. Allow cookies to cool on the pan for two minutes before transferring them to a wire rack. Repeat with remaining dough. Spread frosting on cooled cookies. Top with sprinkles, if desired. Store in an airtight container for up to four days. These are so good. They remind me of Cheryl’s cookies. Thank you for this one. These are absolutely delicious. And SO much easier to make than rolled out sugar cookies!